Standard line of Temporary, Tee, Y, Basket and Duplex strainers. Custom strainers to meet individual space or performance requirements. 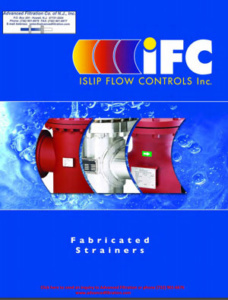 Request a quote on IFC Fabricated Strainers. 316 SS, Bronze or Ductile Iron. Disc: 316 SS, Bronze or Ductile Iron. 316 SS, Bronze or Ductile Iron.